OASYS PCI is a powerful DSP-based synthesis and effects processing environment, in the form of a PCI card. I had lots of fun working on its development, and consider it to be an indispensible part of my studio. Like many other OASYS PCI users, I run the system in a dedicated computer alongside my main DAW. For general information on OASYS PCI, see the OASYS PCI section of Korg USA's website. I've created a collection of five packages of effects plug-ins for OASYS PCI, including O-Code, O-Mod, Bit Bucket, Filtermod, and SDD3k - a total of 30 plug-ins. There are also sets of FX-Only Programs and synth Programs which use the effects, and a collection of Bit Bucket Programs from Jouni Alkio. The package also includes a detailed manual, with tips and tricks for getting the most out of the plug-ins (but please note that the manual is not yet updated to include Filtermod and SDD3k). Place this folder of three Programs in the Dan Phillips FX Programs folder, within the main OASYS PCI Folder. They require the SDD3k plug-in, included in the Dan Phillips Effects package above. Please note that I'm not proposing these as true models of the Tel-Ray delay - they just approximate its sound using SDD3k. This is a simple utility effect with separate volume, pan, and phase inversion for the left and right inputs. Volume and pan are smoothed on the DSP for zipper-free modulation. See the enclosed read-me file for installation instructions. 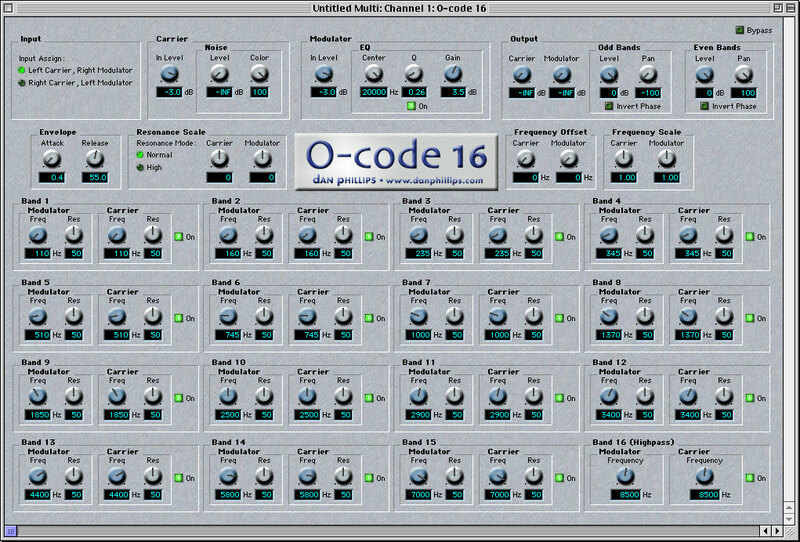 O-Code 12 and O-Code 16 are exceptionally controllable dual-mono-input, stereo output vocoders. Features include built-in noise generators, parametric EQ dedicated to the modulator input, continuously variable frequency and bandwidth for each modulator and carrier band, a variable frequency highpass band, and separate outputs for even and odd bands. 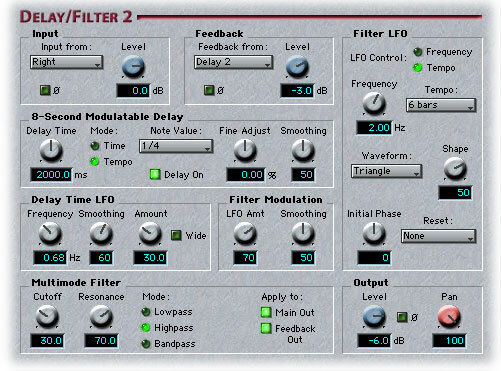 The Filtermod effects include four different kinds of stereo filters (multimode with saturation, comb, talking modulator, or vocal formant), one or more stereo tempo LFOs, an envelope follower, and a random noise modulation source. The O-mod series combines modulatable 8-second delays, comb filters, multimode filters, highpass/lowpass filters, pitch shifters, complex LFOs, flexible routing, and a healthy dose of MIDI synchronization to create a wide variety of effects. Presets highlight the many possibilities, including endless pitch-shift feedback loops, highly processed rhythmic multitap delays, rich and swirling choruses, and more. Flexible routing is a key feature of the O-Mod series. 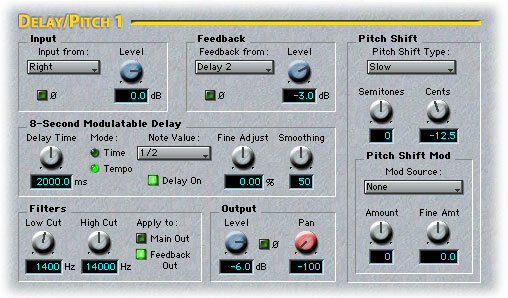 Each plug-in is organized as four independent effects sections, with each section based around an 8-second delay and its associated filters or pitch shifters. Each section can listen to either the left or right inputs, and then feed back into any other section, including itself. Each one also has independent output volume and pan. This flexibility allows you to create a large variety of signal routing configurations, including true stereo operation and massive, complex feedback loops. 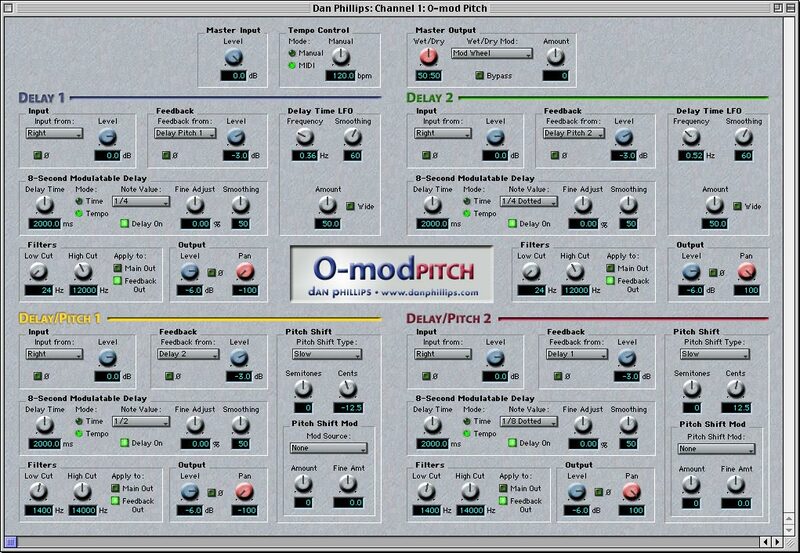 As with all OASYS PCI plug-ins, every parameter is modulatable via MIDI controllers. In particular, all delays can be modulated smoothly, for subtle detuning and chorusing, wild pitch sweeps, or on-the-fly changes to multitap rhythms. 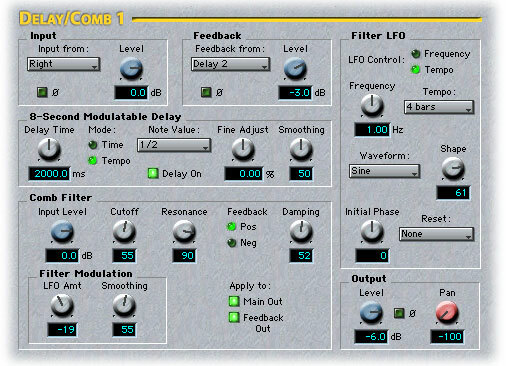 The O-Mod series now includes 10 different plug-ins: O-Mod Comb & O-Mod Comb XL, O-Mod Delay, O-Mod Filter, O-Mod Pitch & O-Mod Pitch XL, O-Mod Vox & O-Mod Vox XL, and O-Mod Talk & O-Mod Talk XL. 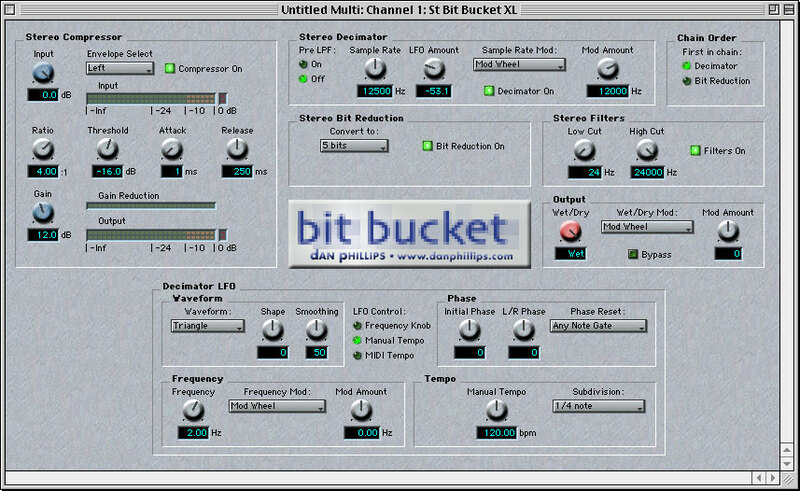 The Bit Bucket series combines compression, bit reduction, modulatable sample-rate reduction, and complex tempo LFOs to create squashed, mangled timbres. If you're looking for clean and smooth, look elsewhere! There are 3 basic variations of the plug-in, ranging from simple to complex: Bit Bucket, Bit Bucket+, and Bit Bucket XL. Each is available in both stereo and mono versions. These are triple-delay effects based on the Korg SDD3000 and SDD3300, with their over-the-top feedback capabilities. The SDD3k effect includes the SDD3300's dual LFOs for each delay, for complex chorus effects, along with an envelope follower for delay modulation; the SDD3k LE preserves the complex feedback, but deletes the LFOs and envelope follower. 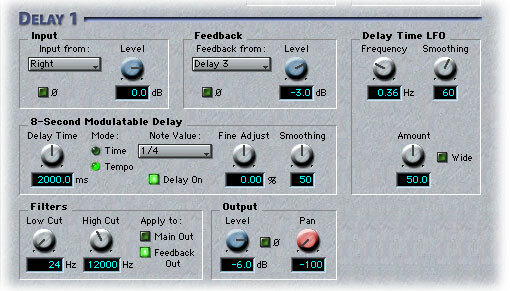 Both also include adjustable saturation for each of the three delays. 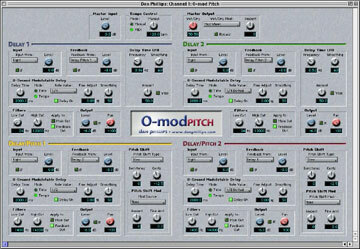 The O-Mod Pitch plug-in. Click to view the full-size image.